Assalamualaikum wbt and happy day all. I am so sorry for being missing nearly for one week. My DD (Dear Daughter) was not feeling very well and i had to really take care of her for these past few days. I skipped working and went to the hospital last Monday for an emergency case. Alhamdulillah she is recovering now and hopefully will be 100% recovered soon. 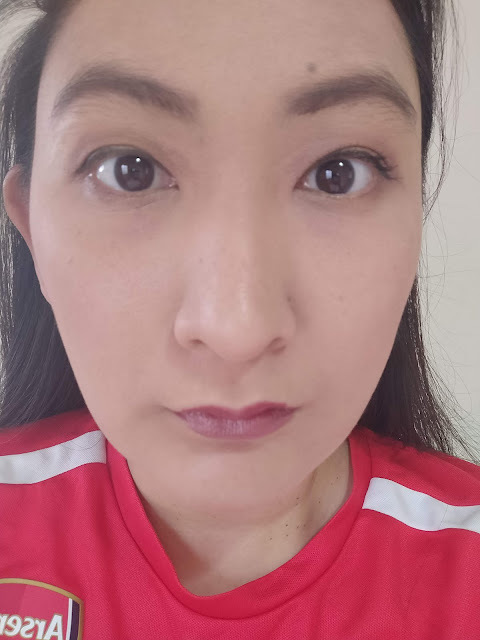 Today i would like to write about my first impression on MISSHA 4D Mascara which i bought from Althea's website (i tried to look for the product in Althea's page, it is no longer there). With less information about this mascara, i bought it because it was super cheap. This only costs me RM 16 only. 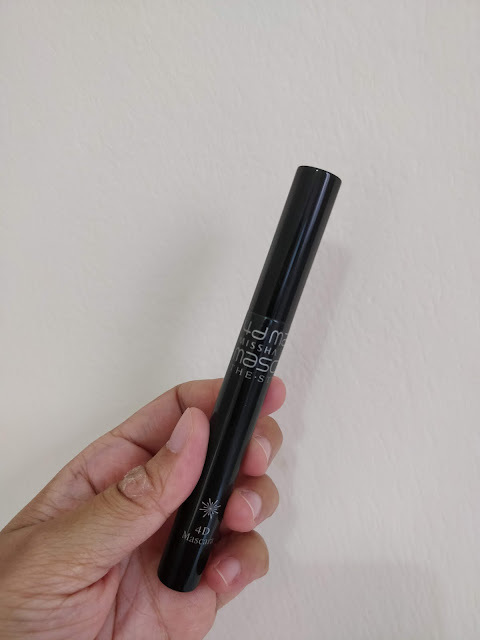 Was curious what is this 4D mascara is all about, so i bought it to try. It has a normal mascara wand and a non clumpy formula. I am not so sure what the 4D means. MISSHA has a 3D mascara as well which i think the wand is a bit different. I have not tried the 3D mascara version hence i do not know the differences. This mascara said that it could protect each layer of the lashes by making the lashes looks full and voluminous. Well, well, well...first impressions is not that positive i would say. May be i was using it wrong. I need to purchase a new Shu Umuera eyelash curler then i would redo my review again. That would be my 'Honest Review' post i guess. Hehe. One eye with and one eye without. Can you see the difference? Well, i think you can notice right. This was actually two coats of mascara application. I am no sure which part would it says that it could volumize and makes my lashes looks full. This is just a normal mascara to me. But it is actually waterproof as it claims. 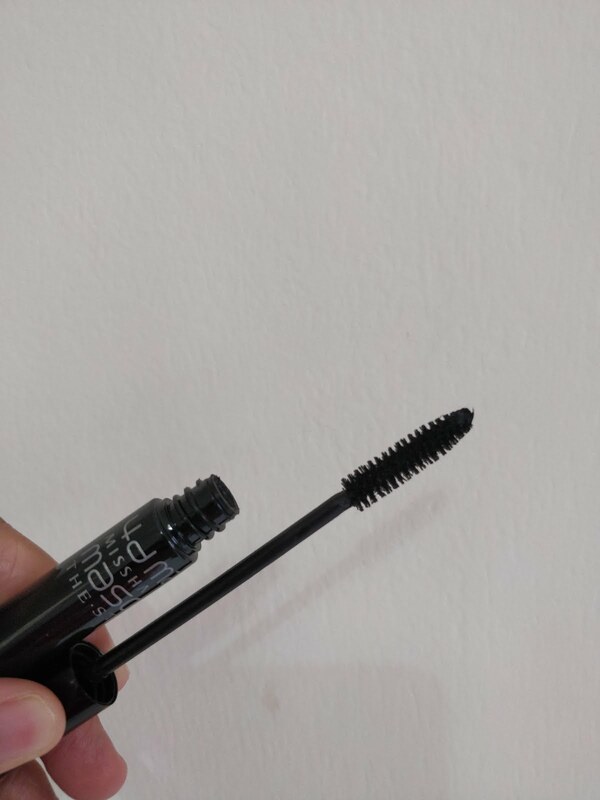 I only love it now because it does not clumps and no smear even on lower lashes. Well, for a RM 16 mascara in Althea's website, this is an a OKAY mascara. :) Maybe more time will tell?